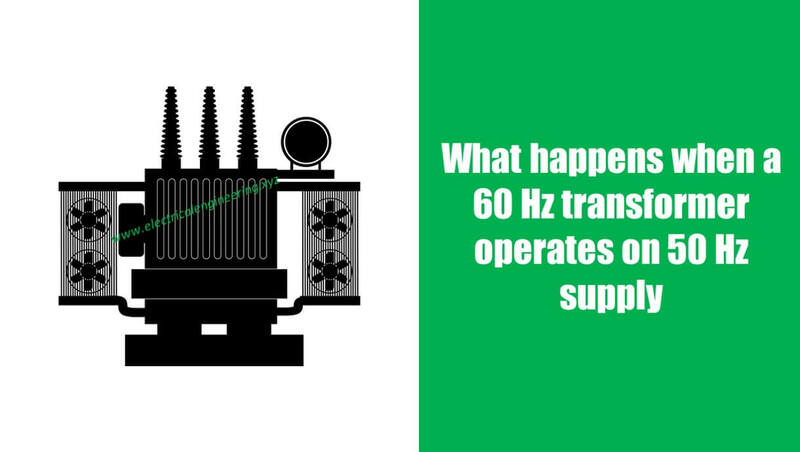 Question: What happens when a 60 Hz transformer is operated on 50 Hz? Answer: The peak flux and magnetization current of a 60 Hz transformer increase when operated on 50 Hz supply. The flux in a transformer is defined as the ratio of voltage to frequency. Let’s assume the applied voltage is 120 V and f = 60 Hz. A decrease of 10 Hz frequency increase the flux by 20%. For keeping same flux the transformer should be operated at 20% lower voltage.